A retail property in Blackburn South has sold under the hammer for $2.095 million for a 2.8 per cent yield. More than 120 people attended the auction for the property at 106-112 Canterbury Road, Blackburn South. Five offshore buyers and two local buyers bid for the property, pushing the price 45 per cent ($905,000) above the reserve. The property comprises over four freestanding retail properties on a corner site of 743sqm of Commercial 1 zoned land. The property is fully leased to three secure retail tenants including a newsagency and the Charlotte's Corner cafe and currently provides an annual income of $91,492 per annum. 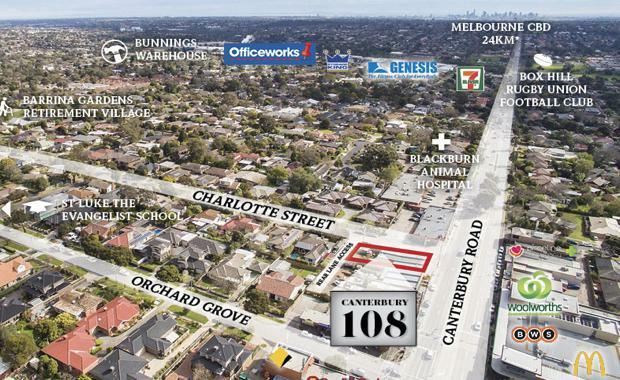 CBRE Melbourne's Rorey James, Jamus Campbell and Lewis Tong sold the property.